Utilities are decarbonizing. Will Trump rule change that? When the Trump administration formally makes public its replacement for the Clean Power Plan today, it will be unclear what effect, if any, the plan will have on the trend away from coal-fired power plants. The lure of cheaper and cleaner power sources such as natural gas and renewables set electric utilities on a serendipitous path several years ago to slash carbon dioxide emissions while also responding to demands from institutional investors, shareholders and customers. Utilities such as American Electric Power Co., Southern Co., DTE Energy Co., Consumers Energy and Duke Energy Corp. have announced plans to decarbonize and in some cases be coal-free by 2040. The CPP replacement — which the Trump administration is calling the Affordable Clean Energy, or ACE, rule — gives states three years to come up with plans to reduce CO2 pollution from coal-fired power plants, primarily through efficiency improvements. 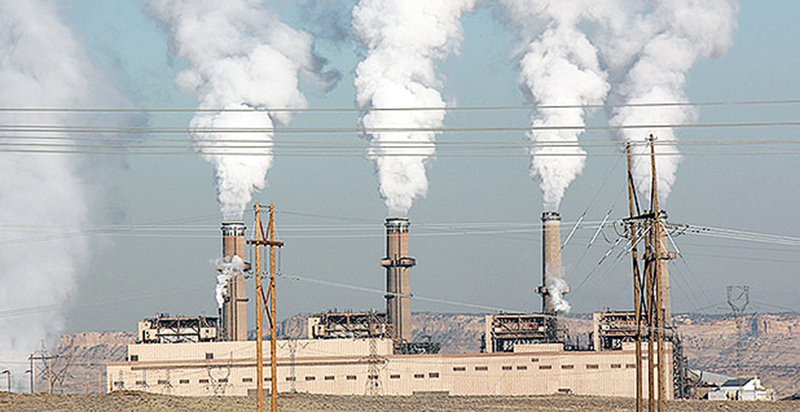 It will have no effect in slowing efforts by groups such as the Sierra Club with its Beyond Coal campaign in pushing to close coal plants one at a time, said Liz Perera, the Sierra Club's climate policy director. The Trump administration proposal is "unacceptable, unlawful and it's not going to work because utility executives are not going to change their plans at this point. They know that clean energy is just cheaper," Perera said. The Sierra Club campaign set a goal in 2010 to force the closure of one-third of the nation's more than 500 coal plants by 2020. The group has hit over half of its goal, Perera said, noting that more than three dozen plants have closed since President Trump took office. "Utility executives come to the table usually quite willingly," Perera said, driven by the economics of continuing to operate a particular plant that has become costly. This year is on track to be another big year for coal plant retirements. Roughly 13.5 gigawatts of coal capacity is slated for closure, according to U.S. Energy Information Administration figures. That equals the 13.5 GW of coal retired in 2016 and runs second to the 19.5 GW of coal-fired power retired in 2015. Nowhere is the trend more apparent than with investor-owned utilities. In May 2017, DTE Energy announced a sustainability initiative to reduce carbon emissions by more than 80 percent by 2050. That entailed the "steady retirement of the company aging coal-fired plants," DTE said, including the shuttering of 11 coal units by the early 2020s (E&E News PM, May 16, 2017). Likewise, Consumers Energy in February said it would eliminate coal from its fuel mix by 2040 (Energywire, Feb. 20). American Electric Power CEO Nick Akins said in June that coal generation would drop to 33 percent in the next decade from 70 percent in 2005 (Energywire, June 12). The utility routinely asks itself whether it is recovering the costs of running one coal unit or another. "If we don't, then we'll shut 'em down," Akins said. And "even though there may not be a focus on carbon right now from an administration perspective, there may be in the next administration," he said. In the Southeast, where states lined up against the Clean Power Plan, big utilities such as Atlanta-based Southern Co. now say they are moving to a low- or no-carbon fleet. "Market forces are moving the industry away from coal regardless of the Trump administration's efforts to bolster the coal industry," said Amanda Garcia, a staff attorney in the Southern Environmental Law Center's Nashville, Tenn., office. For the states or electric utilities that have been planning shifts to cleaner generation sources, the Trump's plan is "putting a thumb on the scale that would not be there otherwise," despite the administration's claim that it is not picking winners and losers, Garcia said in an interview with E&E News. Southern already has cut back on its coal fleet from 69 percent of its utility mix in 2007 to roughly 28 percent in 2017. The long lead time gives the company plenty of room to execute its plan even in the coal-dominated state of Alabama, where its Alabama Power Co. unit holds significant political sway. A more formal look of Southern's plans likely will play out in Georgia next year, when the company's Georgia Power Co. unit will present its new long-term energy plan to utility regulators. Georgia is one of several Southeastern states where such energy planning is mostly done at the Public Service Commission, cutting out electric cooperatives and municipalities that also contribute to a state's electricity mix. It is rare that state lawmakers or governors tackle energy policy, largely because doing so is deemed a mandate. North Carolina is an exception. The state was the first in the Southeast to set renewable energy standards years ago, paving the way for robust solar development. Yet under the Obama EPA's Clean Power Plan, the state said it would give the administration a very narrow plan on how it would meet those new greenhouse gas reduction requirements. "I think the primary problem with the EPA's proposal is that it completely abdicates the federal role in setting standards," Garcia said of the Trump administration plan. She added that the plan would do away with all of the federally established targets and say, "Do what you can." For the Sierra Club, that means "we are targeting plants all over the South in very red areas," Perera said. "I don't think [the new EPA plan] changes our strategy; it emboldens us. As the power mix shifts, the politics shift, as well," she observed. The National Mining Association said, "The policy put forward by the previous administration was an illegal attempt to impose a political agenda on the country's power system, to create what it called 'a new energy economy' that would have had 'dire consequences' by forcing the premature retirement of many existing coal plants, and increasing the vulnerability of our grid."